Dentistry in Danbury CT | 6 Tips to Host the Perfect Holiday Party! Home » Blog » 6 Tips to Host the Perfect Holiday Party! 6 Tips to Host the Perfect Holiday Party! The holiday season is upon us and what better way to celebrate than throwing a festive party. Of course, hosting a holiday party does not have to be stressful. Just follow these 6 tips and your holiday party will be the talk of the neighborhood. Don’t wait the day of your party to start buying and making your meals. A week before your party, go to the grocery store and buy what you need and start setting up the locations of your food and drinks. Also, do not make meals you’ve never made before. Stick to what you know. Food placement, music, lighting, decorations, silverware—these are all important (and often overlooked) factors to a good party. Be sure to set the holiday mood by selecting the right music and lighting. Place your food throughout your home so your guests are not cornered into one area. These little details will make your holiday party that much more enjoyable. You don’t need to spend money to decorate your home. Bust out the ornaments and Christmas lights and use those to liven up your party. 4) Always have extra ice. Your freezer’s icemaker will not sustain an entire party. Keep your beverages chilly by buying extra ice bags. 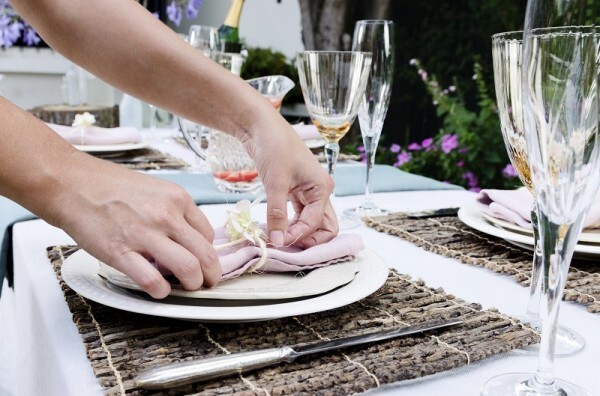 Ask help from a close friend to help set up, cook, or clean your holiday party. No one is expecting it to be achieved all by yourself. You could even hire your babysitter to wash dishes and help with clean-up. While planning a holiday party is a lot of work, you started it to get your friends and family together. So, why not enjoy it? Mingle with your guests; drink and gorge on your hard-earned meals; and just have fun. For your dentistry needs before the holiday parties contact our office in Danbury CT!